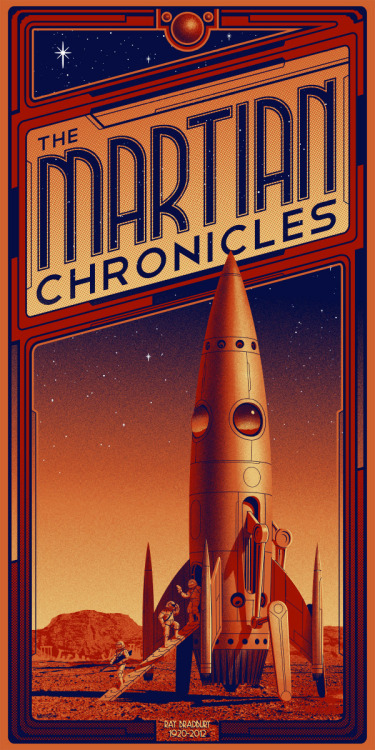 "I have loved Ray Bradbury’s The Martian Chronicles ever since my Dad introduced me to it sometime in junior high, and I’ve always wanted to do an series of illustrations based on the various short stories collected therein. Ltd. Art Gallery‘s upcoming show, “A Picture’s Worth a Thousand Words” featuring works based on literature presented the perfect opportunity for me to finally take a stab at this great collection of short stories. The show will open on November 8, with pieces available online shortly thereafter on their site (I’ll post an updated link to that on FB and Twitter once they’re up for sale online)."